Considered one of the premier cigar brands in the world, CAO hand-rolled premium cigars are renowned for an innovative approach to creating unique tobacco blends that appeal to new generations of cigar connoisseurs wanting flavorful, medium to full-bodied smokes. 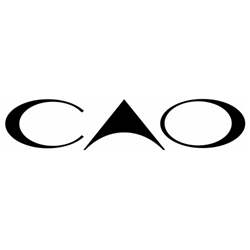 Although CAO premium cigars have been groundbreaking in their creations and designs, the company still keeps to time-honored tobacco traditions with their cigar productions, consistently producing award winning handmade cigars year after year. Smokers Discounts offers the perfect way to unwind with CAO premium cigars. We’ve made it affordable and easy to buy these hand-rolled cigars online. A variety of sizes and flavors are listed below in our online cigar store. Each of these styles are in stock and available today for a low discount price. Call us for more details!